EMS2019 continues the success from previous years and offer participants the unique possibility of signing up for a Procedural Cadaver Lab. The Procedural Cadaver Labs has been a huge success and participants from the lab gave it outstanding reviews. Therefore we are very proud to be able to once again give participants this unique possibility. This year the Procedural Cadaver Lab will take place the day before the congress, the 25 April 2019. The Procedural Cadaver Lab is, like last year, hosted and sponsored by Teleflex. There are only 2 sessions with 48 spots in each, so hurry up if you want to be a part of this exceptional clinical experience. The sessions are held on 25th April from 8.30-12.30 and 13.30-17.30. Read more about the lab below. Register for the cadaver lab here as part of your registration for EMS2019. If you have already registered for the congress, please select ‘Modify’ to log in to your existing registration and sign up for Cadaver Lab. If you are not able to attend the congress, you can also register for the cadaver lab as a an independent event here. The skills that are often required to resuscitate the critically ill are often not utilized in the best way or in a timely fashion due to the lack of practice, inexperience with procedures or equipment, or unfamiliarity with advances in equipment or techniques. 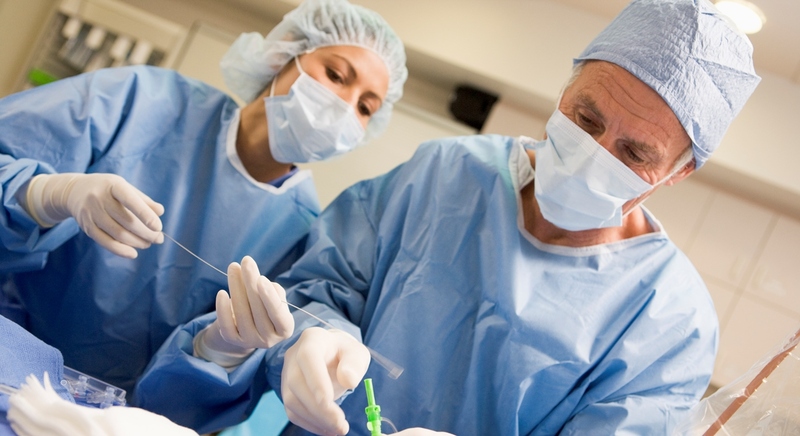 This lab uses cadaveric teaching to impart knowledge in a low stress environment. Teaching is carried out by internationally renowned clinical instructors, using actual tissue, making this a conducive learning environment. Cadavers are used to replicate a true clinical experience. Participants will have the opportunity to practice several procedural skills including direct and video laryngoscope intubation, surgical cricothyroidotomy, intraosseous access, needle thoracostomy, Resuscitative Thoracotomy, Lateral Canthotomy, surgical airway, IO and other EMS procedures.